In 2006, Lee Woo Lim started to get attention from the critics in art world when he was selected as 21st century Kumho’s young artist. 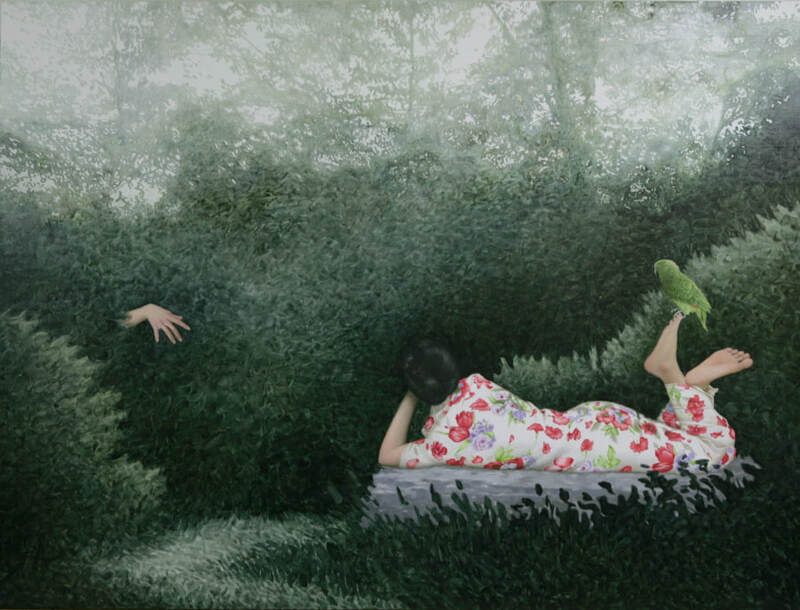 By painting such realistic motifs as human and forest, Lee has been frequently crossing the boundaries of the real and surreal. The forest which is the background of Lee Woo Lim’s work appears as a resting place, but at same time with unpredictable dangers. No one knows what actually happens in the deep, dark forest, and by constituting the strange tension Lee created the forest as a fearful place. Another series, water that is introduced in this exhibition also intensively shows the similar purpose of the artist as the forest series. Unlike the calm surface of the water, both mysterious feeling and unknown suspense are contained in the water which put us into fear. repeated patterns. The characters in Lee Woo Lim’s paintings appear as lonely or they are of their back view. On the vague border, isolated people are represented, and this depiction creates exquisite mystery and dreamy feeling which are distinctive features in Lee’s work. In his new works in this upcoming show, Lee doesn’t stay in painting flat works, but he paints flowers as they came out of the patterns characters’ clothes. The newly expanded patterns add cheerful movement to the work.